Weight is a very important factor in your ability to get pregnant, and once you are pregnant to maintain a pregnancy. Being overweight or underweight may compromise your chances of getting pregnant or may increase your risk for miscarriage or preterm labor. Did you know that for the guys being overweight also may negatively impact sperm quality? Not every person who is underweight or overweight will have trouble getting pregnant, but if you are struggling with infertility and your weight is not in an ideal range, weight loss or gain (depending on what’s needed) should be one of the first steps in maximizing your fertility. It’s important to note that depending on your situation, waiting to lose weight may not be in your best interest if you are woman over 40. 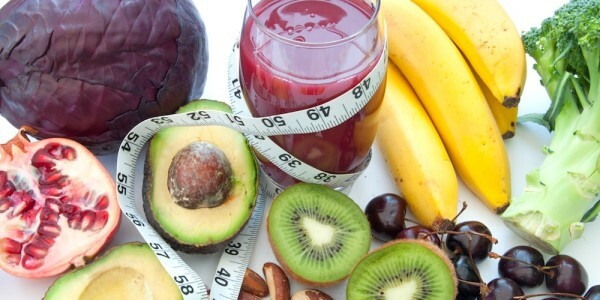 Weight loss in conjunction with other therapies may be your best option. The first step: Check if your body mass index (BMI) is in ideal range? Use this BMI calculator to calculate your BMI. When it comes to chronic disease prevention, a normal BMI is typically considered to be from 18.5 to 24.9. Anything below 18.5 is considered underweight. When it comes to fertility, a BMI of 20 or higher is best to promote conception. A BMI in the range of 18.5 to 19.9, while still considered normal weight, may mean that body fat is too low to support optimal fertility. With a BMI of 25 or above, excess body fat may disrupt hormone balance. OK, so let’s say you are overweight. If you are trying to conceive naturally or going through fertility treatments, losing weight is a great way to help improve your chances of having a successful pregnancy. Even a 5% weight loss can make a significant positive impact. If you are 200 pounds, this means only a 10% weight loss can help improve menstrual cycle regularity. This weight loss shouldn’t be through strict diets or eating “diet” or “light” foods. Instead eat whole and real foods, while strictly limiting sugar and refined carbohydrates. Check out my video here (I’m now in Madison, WI, not Chicago, but the video still has helpful tips). 1. Limit your intake of added sugar to 25 grams of added sugar per day or less. Once you achieve that, decrease it to 10 gram a day or less. Sugar provides little to no nutritional value, while raising insulin levels that lead to weight gain, inflammation, and chronic disease. 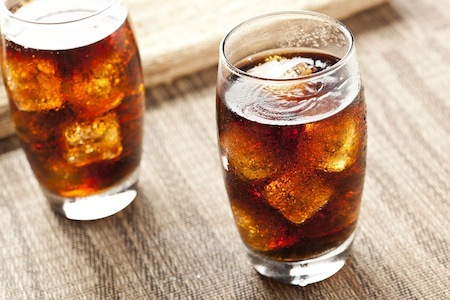 You absolutely need to avoid drinking soda. It has been linked to weight gain and all sorts of health problems. Check out my article on MindBodyGreen 7 Tips for Kicking Your Sugar Habit for more tips. 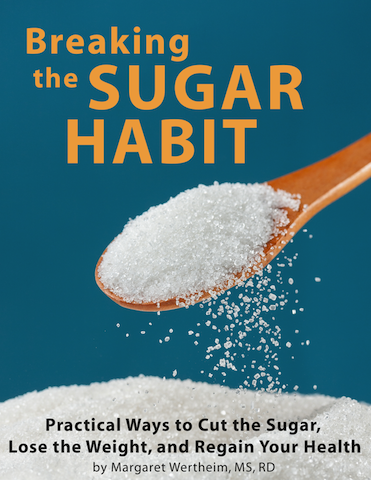 For a comprehensive discussion on this topic, check out my eBook Breaking the Sugar Habit: Practical Ways to Cut the Sugar, Lose the Weight, and Regain Your Health. 2. Banish the artificial sweeteners. Artificial sweeteners serve only to increase sugar cravings and for many don’t support the desired goal of weight loss. There is some evidence that sucralose (Splenda) may lead to increased insulin levels when you consume carbohydrates after ingesting it. That is the opposite of what artificial sweeteners are supposed to achieve. Furthermore, artificial sweetener consumption during pregnancy has been linked to higher risk of pre-term birth. 3. Include a protein source at all meals and snacks. Good protein sources include meat, fish, eggs, beans and lentils, yogurt, kefir, and nuts and seeds. Meat and dairy should be organic whenever possible. Nuts and seeds should be the protein source at snacks only, since their protein content is generally not high enough to provide satiety at meals. Protein is the number one nutrient that will make you feel full and satisfied at meals. If you don’t include protein at a meal, such as spaghetti with plain tomato sauce, it’s very easy to eat a lot of pasta before full. You will likely take in a lot of calories from the spaghetti, with minimal vitamins and minerals, and gave your body a big blood sugar and insulin spike. Insulin is responsible for regulating blood sugar in your body, but it also triggers your body to store fat. So even though you’re eating a lowfat meal, your body will convert excess carbohydrates to fat. 4. Limit starches and grains to 1 serving or less per meal. This means about 1/2 cup rice, pasta, quinoa, potatoes, or 1 slice of bread. Starches tend not to be as nutrient-dense as protein sources and non-starchy vegetables, and they tend to not fill you up until you’ve eaten quite a bit. The resulting blood sugar and insulin spike, leads to fat storage, and subsequent hunger and carbohydrate cravings. If you’re looking for more tips and updates on how to use your food to support women’s health, fertility and pregnancy delivered right to your inbox, please sign up here.